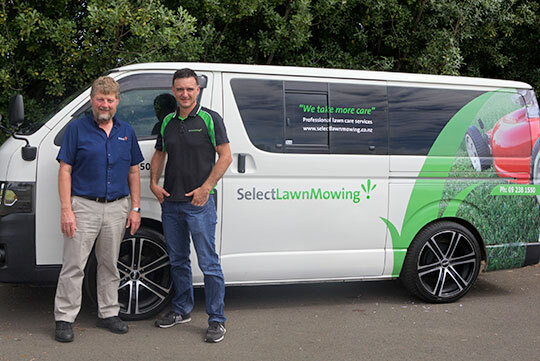 Established in 2006 to cater for the burgeoning market for premium lawn mowing services, SelectLawnMowing Auckland offers high-quality lawn care services to both residential and commercial customers. Once the domain of high-income households, the majority of customers are now those who are simply too busy to mow their own lawns. The Select model is designed to not only provide customers with a consistent, quality service but also to ensure that all Auckland operators are security cleared and trained to the highest possible standards with an emphasis on quality control and reliability. So if you're looking for a reliable and trustworthy lawn mowing service in Auckland of the highest standard at affordable prices, give us a call, we'd love to work with you.